Dr.Mankin is a fellowship trained pediatric orthopaedist now retired from clinical practice. He attended Harvard University for his undergraduate degree, and Medical School at the University of Pittsburgh. He completed his internship and residency at Massachusetts General Hospital in Boston MA. 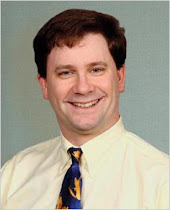 Dr. Mankin also completed a pediatric orthopaedic fellowship at Massachusetts General Hospital and was on staff at that facility for five years before relocating to Raleigh NC in 2001. He recently moved to Dallas TX where he works in mentoring and practice implementation and design. Dr. Mankin may be reached by e-mail at kpmankin822@google.com.